In early November 2018, I attended a workshop in audio production presented by Owen Brafford at Film North in St. Paul, Minnesota. The class represents another step toward proposing a multi-media documentary production class. The following post brings together 11 takeaways from that too-brief afternoon workshop. 1. Learn a little physics. More specifically, learn a little bit about acoustics and the way sound behaves in spaces and around objects. Even that basic knowledge will help make audio production easier. 2. Sound obeys no one. Some aspects of film production can be controlled in useful ways. For example, lighting can be moved, adjusted, pointed, and otherwise manipulated until the effect is just right. It can be directed to go in the direction you want it to go. Sound, however, defies this kind of control and goes where it wants to go. 3. Record room tone for a few seconds. According to filmsound.org, room tone is “The ‘sound of a room’ without any movement or dialogue.” This room tone recording proves useful in post-production to ease some gaps in the audio. 4. Know your microphone types and their limitations. There are three basic types of microphones. 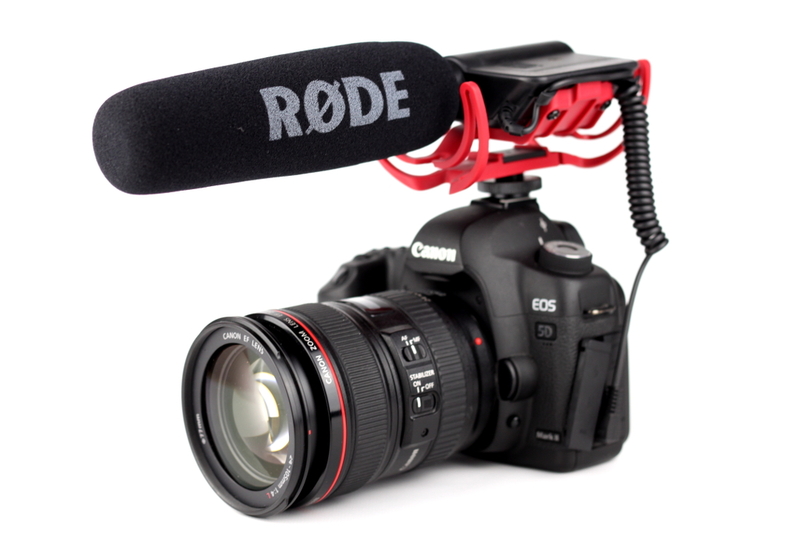 Shotgun microphones attach to the camera body and plug directly into the camera for recording. A boom mic attaches to a boom. A lavaliere mic clips to the participant’s clothing and includes a transmitter for recording the sound remotely. Shotgun mics are convenient but echo-y in open spaces. Lavaliere mics get decent spoken audio, but not a rich range of sound. Boom microphones offer the richest sound and the most flexibility, but they require a crew member dedicated to holding them just right for recording sessions. 5. The boom is an art form. A boom refers to the pole on which a microphone is attached. The boom operator then must hold the boom with the microphone at just the right distance from the speaker’s mouth and at just the right angle to achieve optimal sound recording. At the same time, the boom must be kept out of the camera’s field of vision and not distract the speaker. Wikipedia offers a great story about the origins of this practice. 6. Hiding the microphone is another art form. While some producers don’t mind the visible lavaliere mic, others prefer that it not appear on camera. Hiding and securing the microphone in a way that makes the participant comfortable and that still achieves optimal sound recording requires a delicate balancing act of choosing and securing location. Under the shirt collar? Not if it’s starched cotton, which is scratchy and noisy. Under a hat? Not if it’s an open-weave straw hat on a windy day. Getting the microphone to stay in place is another challenge. The possibilities to this end are mind boggling — lavaliere clips, vampire clips, Top Stick , and gaffer’s tape, just to name a few. Microphone maker Rode offers an overview of other possible ways to clip and conceal lavaliere mics. 7. The lav bullet makes micing with a lavalier slightly less awkward. Also called a mic drop, the lav bullet is a piece of weighted metal that allows the lavaliere wire to be dropped through the participant’s pants or shirt quickly. The bullet even allows participants to thread the wire themselves, preventing some of the awkwardness that this process creates. Microphones don’t discriminate and only record the sound you want to get; they record everything without bias. A noisy truck going by outside, a pet howling in the background, a participant’s fidgeting with worry beads — all of these sounds will show up on the recording. For an example, my favorite clip from Gates of Heaven features a charming, rambling participant interrupted by screeching car tyres. 9. Microphone position > microphone quality. Like with cinematography, sound production has a wide variety of equipment available. While higher quality equipment might up your game a bit, you don’t need the most expensive of everything to have a successful shoot. Positioning the microphone carefully — generally using a boom about 6-12 inches from the speaker’s mouth — will get great spoken audio for most microphones. 10. The most expensive part of a sound kit is the wireless set. B&H Photo offers this great post explaining more about the complexities of wireless audio recording systems. 11. There is no excuse for bad sound. Hollywood production techniques such as automatic dialogue replacement have created audiences used to crisp, clean sound. While they might tolerate a shaky or blurred image, they will not tolerate bad sound. But, really, there is no excuse for bad sound during a planned production. It just requires careful placement and monitoring during the recording, just as camera and other production aspects do. Similar to the cinematography boot camp, the audio production workshop offered an immense depth of details and things to consider. More takeaways easily could be added to this list. Either way, the session offered some good starts in thinking about equipment and practices for my own projects.